Progressives claim that judicial record shows a pattern of unconstitutional policy, while conservative lawmakers contend judges with an ideological bent are the true culprit. Capitol Bureau Chief Jeff Tiberii reports on laws passed by the state legislature since 2011 that later faced major challenges in court. Since 2011, Republicans have been making the laws in North Carolina. And Democrats have, occasionally, been taking them to court. Among them: a voter ID law ruled unlawful; a plan to remove career status for veteran teachers struck down; redistricting efforts in Wake and Guilford County overturned. In December, during a special legislative session, then Governor-elect Roy Cooper offered this. As attorney general, Cooper chose not to defend some of the laws he viewed as unconstitutional. In less than five months as Governor, he has already sued the General Assembly multiple times. Trying to determine the actual legal track record of Republicans over these past few years is not a simple exercise. State laws are regularly challenged in civil and criminal cases, generally one person disputing a law as it affects them. Then there are fewer, more broad challenges. These are called facial, or constitutional claims, and often come from interest groups. It’s all a maze of judicial filings, injunctions, rulings, dismissals and upcoming arguments, with much more litigation likely to come. There are clear victories and defeats, other cases where both sides claim a win, and plenty of cases that are pending. There is a lot of grey area. Meredith College Political Science Professor David McLennan summarized it like this. “I think right now we look at it as a lot of victories for Democrats, or progressives in the state, and a few for Republicans,” McLennan said. 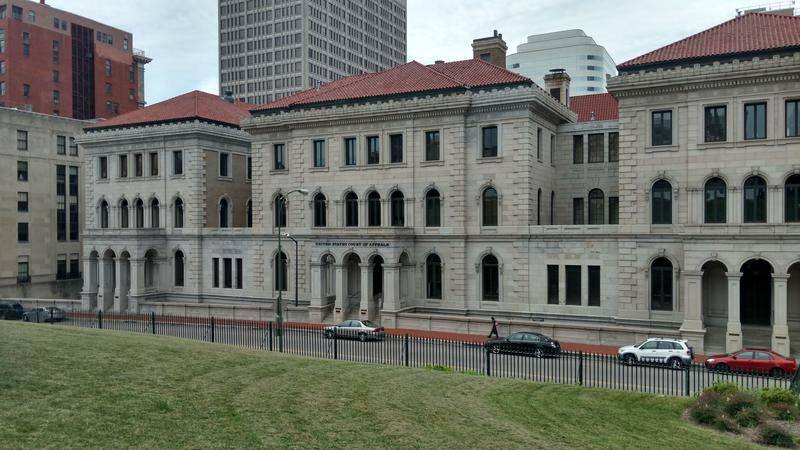 According to a WUNC analysis of laws passed by the legislature since 2011 that later faced major challenges in court, three laws were ultimately upheld. Fifteen laws were either overturned altogether or had key provisions struck down. And at least seven prominent cases are still pending. That’s where things stand, for now. However, when considering all this, simply saying the legislature has a three and 15 record in court, only begins to tell the entire story. "We live in an era where everything that is legislated is litigated,” said John Davis, a non-partisan political analyst. To be fair, not everything gets challenged. Sometimes it just feels that way. Since Republicans claimed control of the legislature back for the first time in more than a century in 2010, close to 2,000 bills have become law. The overwhelming majority of those were not controversial and passed with wide bipartisan support. But some of the legislation has been highly contentious: redistricting, abortion regulations, and elections, among them. And in the past six years, the General Assembly has spent $12.7 million on outside legal counsel, according to the latest figures from legislative staff. Of those fifteen laws struck down, some were ruled unconstitutional in the state supreme court, others in federal court, and a few by the Fourth Circuit Court of Appeals, in Virginia. “Their biggest barrier has been a federal district court in Richmond with 15 members – 10 of whom were appointed by Democrats, five by Republicans,” Davis said. For a case to even get to the Fourth Circuit, it often signals that Republicans prevailed in a lower court. The bench in Richmond was once considered among the most conservative of the appellate courts. Today, that has changed and it’s widely considered among the most liberal. Like the many lawsuits against the legislature that are still pending, the balance of power in who rules on all these claims is fluid. At the state-level Republicans have pursued major policy agenda items in recent years. At the federal level, Democrats have a majority of the bench. And their authority was enhanced for more than a year with only eight justices on the U.S. Supreme Court. Any ties there revert back to the lower court’s decision. However the dynamic is changing, with Neil Gorsuch recently joining the High Court. “What happens in the next six to twelve months could change what we’ve experienced over the last couple of years in terms of victories for liberals or progressives,” McLennan said. One of the conservatives who is glad to see a change on the High Court is State Representative David Lewis, a Republican from Harnett County. Lewis was the primary sponsor of the voter ID law enacted by lawmakers in 2013. That law was ruled unconstitutional by the Fourth Circuit last summer, and the U.S. Supreme Court declined to hear its appeal last week. It’s the end of a saga, though not really. Lewis indicated another voting law is possible in the coming months. And there’s a decent chance another legal challenge will follow.